Many people only really envision movie making as the parts of actual production, but in reality it has several parts that play together to a final film project that are not a part of the actual filming. Instead, if you are looking at proper movie making production phase information it will list a number of stages that take it from the very basic ideas to the audiences in theaters and beyond, and this is really the process for making a film. A film always starts out in the development stage. This is where the basic film is pitched to financiers, producers, studios, or those who are being involved. This is usually also where the script is written, a property is optioned, or a film is put together. It is here that no real plans for how the filmmaking process will be made, but instead the idea is fleshed out. There will always be a lot of hands on a feature film, and this is going to have a varied amount depending on who is pushing through the film. Any changes to the property that has to be made, the choice to go forward with the project, and the decisions about the producer and the above the line talent will likely be made. There may be offers that then go out to actors, alterations to a generalized budget, and even some ideas about the marketing campaign. Most films do not get past the development stage because of how expensive filmmaking is, but once it has been thoroughly developed then it will be ready to become an actual production. The pre-production process is exactly what it sounds like: what happens before actual production. This is where the actual budget for the film is broken down, looking at what the costs will be and what the salaries will be. The wages and offers for actors will be decided and set up, and the general planning will be put together. The rest of the crew for the film will be found and hired, and they will begin working in their departments under the advisement of the producer, director, and production company or studio. For example, the art department will need to then be determining how the sets will look, what props will be there, how to compile the set dressings, and the so on. Part of this work may have been done in the development process, but only the most preliminary. The schedule will have to be hammered down, all the locations secured, and all of this being preceded by a complete script breakdown that will show exactly what each scene requires. The goal of the film pre-production period is to ensure that the actual production is able to begin without any problems, and that all planning has been done to ensure that all the players can just show up and shoot the film. No matter which movie making production phase you are looking at, the actual physical production period is the most important. It cannot be done without the other phases, but this is when the film really happens. As you assume, this is where the filming occurs according to the plan set forward in the pre-production process. There will be a schedule that is set and the cast and crew will engage that schedule, shooting on all days as they occur. There may be changes to the schedule and production elements when production is occurring, such as going past schedule or having a location fall through, but the essential structure remains the same. The goal is to get al the scenes and shots by the end of the given schedule without going over budget and getting what is needed for the director’s vision and the financier’s expectations. More involved and detailed than the other movie making production phases, the post-production period is where the film is really put together. This is more than just the editing of the film, but actually where all areas of the film are mastered and put together. Motion graphics, special effects, computer graphics, and the like are created and added to the film to create the world that was intended. Color grading will be applied to fix the colors and make them appear more filmic, and sound mixing and editing will create the audio tracks that are necessary for a clean soundscape. The online and offline editing will be one of the main creative stations in the post-production situation as it will require the attention of the director and will really piece the film together as it will later appear. 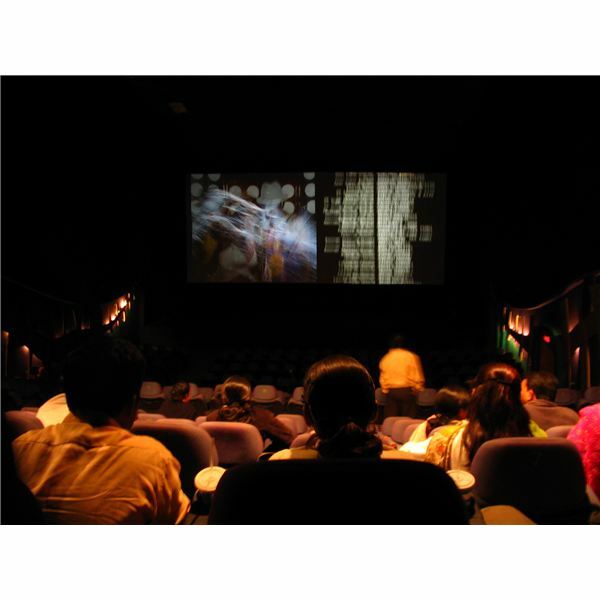 go for public showings, film markets, and film festivals in an effort to find a distributor. This would just act as an addition phase to the process, though is often ignored by movie making production phase information since it is not part of the studio workflow. Once the distributor has it they will finish a marketing campaign around the film, determine how they want to release it, and go through the material planning and execution of those arrangements. This could be filtering it through a company for the design of a DVD release, or simply making the contracts for a wide theatrical release. The distribution process will take quite some time as there are a lot of markets, a lot of money at stake, and a property that has the potential for long term profits. The real truth about these various phases is that not one of them can be eliminated from the process. Even if you are going to make a low budget independent film you still have to develop your project, do pre-production on it, shoot it, edit and master it, and get it out to an audience. The exact nature of these things may change, but the various stages will not.